There is often a disconnect in design, development and creative agencies between completing the task at hand, i.e. working through the client specification, and what the goals and expected results are for the project. At RustyBrick we look at the big picture, what are the desired goals, outcomes and results the client should expect and see after the project is completed. Here are some of the results from our clients that we can share with you. Picking a university is one of the most important decisions one can make in their lifetime and Distance Education helps young adults with those decisions. The site features an incredible wealth of free knowledge, facts, social questions and answers, and much more. 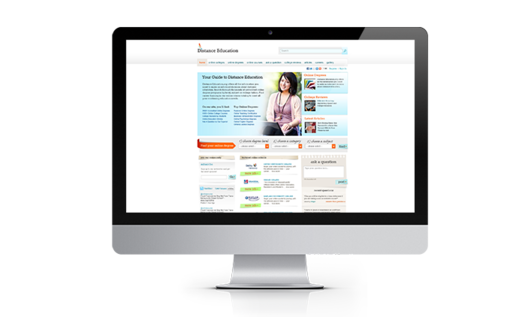 Distance Education makes their money through affiliate income, sending qualified leads, i.e. prospective students, to the university. 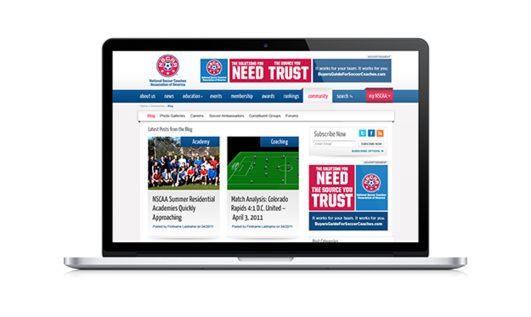 NSCAA is a large association that manages a wide level of soccer athletes. RustyBrick rebuilt their website and software with significant results. Imagine managing an association that goes across all levels of athletes, from professional to pee wee leagues. The National Soccer Coaches Association of America (NSCAA) is just that, founded in 1941 it is the world's largest soccer coaches' organization. When RustyBrick rebuilt their site and software in 2011, we were able to achieve great success across marketing, branding, the conferences, membership and more. RustyBrick designed a custom web based application that helped streamline the back office and increase their client base. 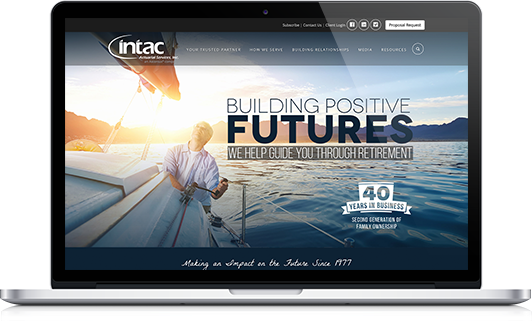 For more than 35 years, the professionals at INTAC have been helping business owners achieve greater tax benefits and retirement savings through employer-sponsored retirement plans. INTAC provides complete retirement plan administration for more than 2,800 small to mid-sized companies, their owners, key executives and employees. Managing all those clients across 32 states, with 50+ employees at INTAC with over 35 years of business operations is not easy. Which is why INTAC came to RustyBrick to help streamline their business operations. With cloud-based software, RustyBrick aided INTAC in increasing their client base, reducing their cost per client and their project efficiency. The software reduced the cost of client communication and enabled them to efficiently collect client information through their client portal. RustyBrick not only designed the frontend web site but also created the organization's backend software to run the day-to-day-business. NYFF is a full service event production company capable of planning and producing small, medium and large scale events. NYFF handles events for corporations like NBC and MTV, personalities like Jay-Z, universities to elegant weddings and whacky bar mitzvahs. As you know, when it comes to planning and pulling off a successful event, each and every detail is a critical element to ensuring each event's flawless execution. 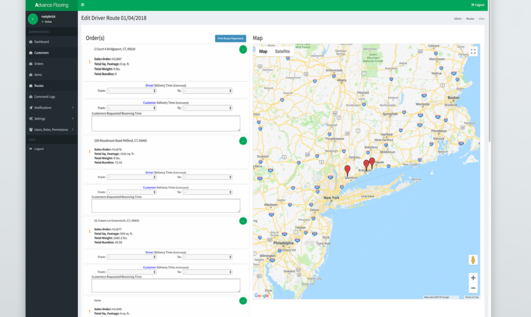 RustyBrick designed a web based enterprise system application that helps the company grow in sales while helping to manage the fine details for the vast range of events NYFF produces each year. 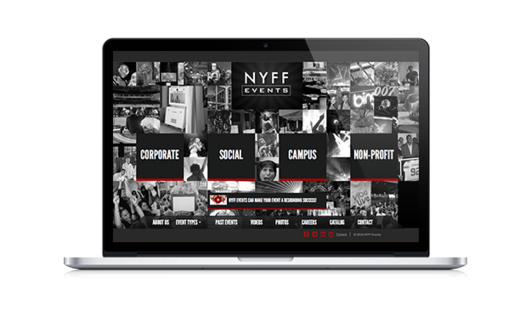 By enabling NYFF Events to scale their business by increasing the number of events they can manage while still being able to stay on top of each and every detail critical to success, NYFF was able to double their business without losing the personal customer touch. RustyBrick redesigned Yad Eliezer's web site, donation system and much of the back office management that fuels the donation management. How were the results? 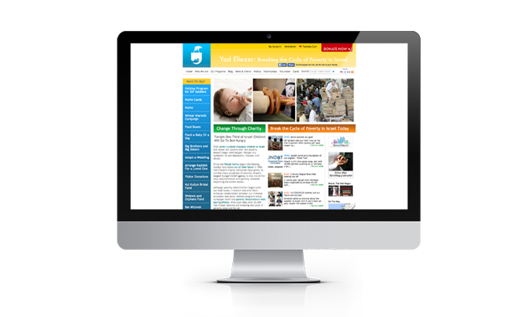 We transformed Yad Eliezer's web site, giving them a brand new look and feel. We beefed up their donation system. Added social media elements to the site and completely automated their back-office. Donations are the life-blood of any non-profit organization, without them, the non-profit can't perform their work. Yad Eliezer is one of Israel's largest poverty relief agency that helps over 100,000 people a year with a $24 million budget, where over 96% of those funds go directly to those in need. RustyBrick redesigned the organizations web site, donation system and much of the back office management that fuels the online donation management. With the increase of web and free search traffic, Yad Eliezer saw significant reductions in advertising costs while tremendously increasing donations and volunteers. Financial Advisors Magazine: News publisher in the financial industry came to RustyBrick to migrate them from multiple Joomla instances to a single custom CMS with multiple frontends. The new sites launched in very late 2012 and has seen huge increases in results. Traffic, page views, ad impressions, and user retention is what makes a publishing web site survive. Without it, advertisers won't want to pay for their ads to be delivered on the web site. The goal with publisher web sites is to increase traffic, page views, repeat visits and ad views so that advertisers get as many qualified leads as possible clicking on the ads. 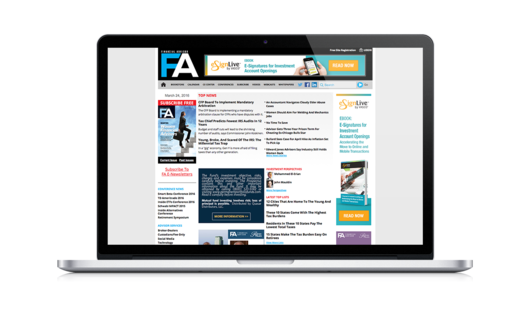 By migrating the site to a custom built CMS, RustyBrick was able to help Financial Advisor Magazine improve on all these metrics. Just look at the metrics above and be amazed. RustyBrick developed a custom cloud based software system that reduced packing errors and increased customer satisfaction. They are a wood flooring distributor that opened in 2013 and maintains a very large warehouse.